Generated Facilities Saving with Minimal Impact to FMD Operations. 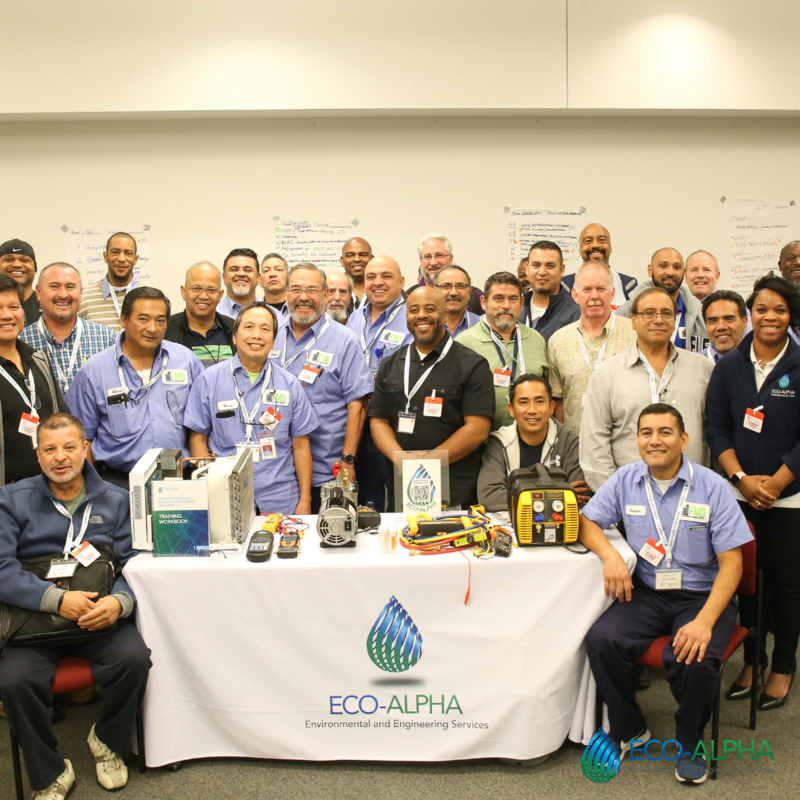 SACRAMENTO, CA, Jan. 22, 2019 — The Department of General Services (DGS), Facilities Management Division (FMD) successfully launched Eco-Alpha’s High Performance Building Engineering Program (HPBEP) pilot training. This innovative and useful on-the-job training program helped FMD drastically enhance the knowledge base and technical skills of their current workforce in five core competencies: mechanical systems, electrical systems, compliance, building automation systems, and energy management. The program has improved facilities operations and minimized operational disruptions across the state. The aim of the pilot program was to provide training for sixty FMD staff members in multiple job classifications (Maintenance Mechanic, Stationary Engineer, Chief Engineer I and II ) across five regions within the Sacramento and Los Angeles Metropolitan Area (III, IV, Capitol Historic, LA-Metro and LA-East). Trainings were held at Caltrans District 7 and Ronald Reagan Buildings, located in downtown Los Angeles, CA from Oct. 18-26, 2018, and the California Franchise Tax Board (FTB), and Central Plant located in Sacramento, CA from Oct. 31-Nov. 8, 2018. Program expectations were exceeded, as 75 FMD staff members were successfully assessed and/or trained throughout the state. 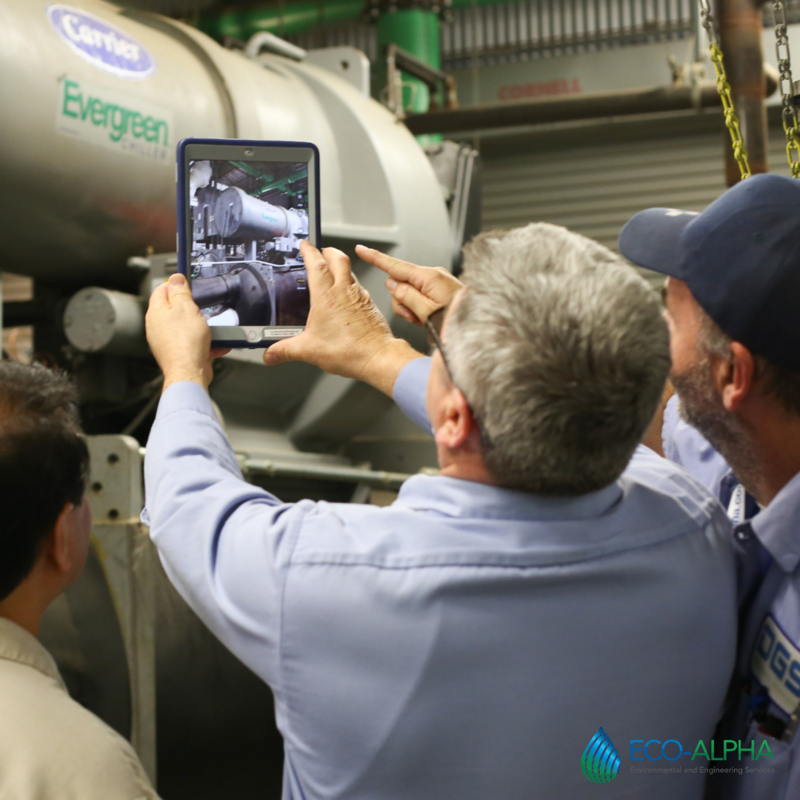 Eco-Alpha High Performance Building Engineering Program (HPBEP), Department of General Services, Facilities Management Division staff member trainee participants collect data from a 750 ton central plant chiller to calculate energy saving using Eco-Alpha issued iPads at the California Franchise Tax Board (FTB) Sacramento, CA on Nov. 7, 2018. The FMD, with the full backing and support of DGS, started the process of implementing Eco-Alpha’s HPBEP pilot training in July 2018 to address the lack of on the job training opportunities for staff members and to help bridge the gap in knowledge to meet FMD goals for excellence in facilities management. The FMD, in full coordination with Eco-Alpha, developed a targeted and phased approach to establish a standard system of training for FMD staff members which included 2018 milestones and deliverables for successful implementation of the program. This strategic approach included three phases: 1) Phase I: FMD Outreach and Planning; 2) Phase II: HPBEP pilot training; and 3) Phase III: HPBEP Program Evaluation and Reporting. – Jemahl Ämen, FMD Deputy Director. 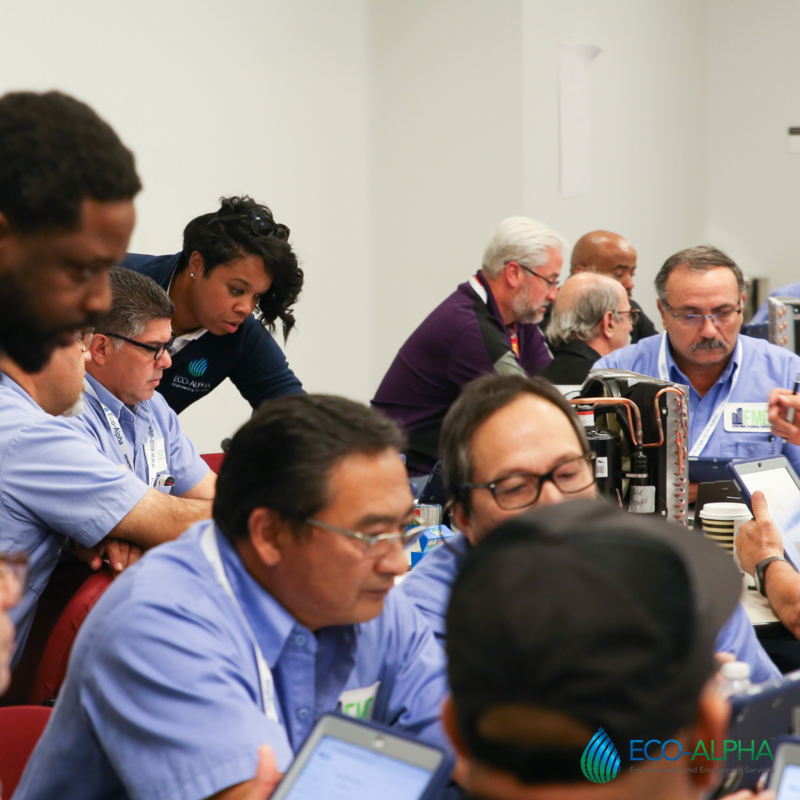 In addition, the federal Environmental Protection Agency (EPA) 608 Heating, Ventilation, Air Conditioning and Refrigeration (HVACR) Certification training solution was offered to help improve the technical competency of the HVACR professionals in the industry. This means that staff have taken the initiative to invest in themselves to improve their level of HVAC competency which equips them to better operate and maintain the facility all while keeping up-to-date on the newest EPA refrigerant regulations. 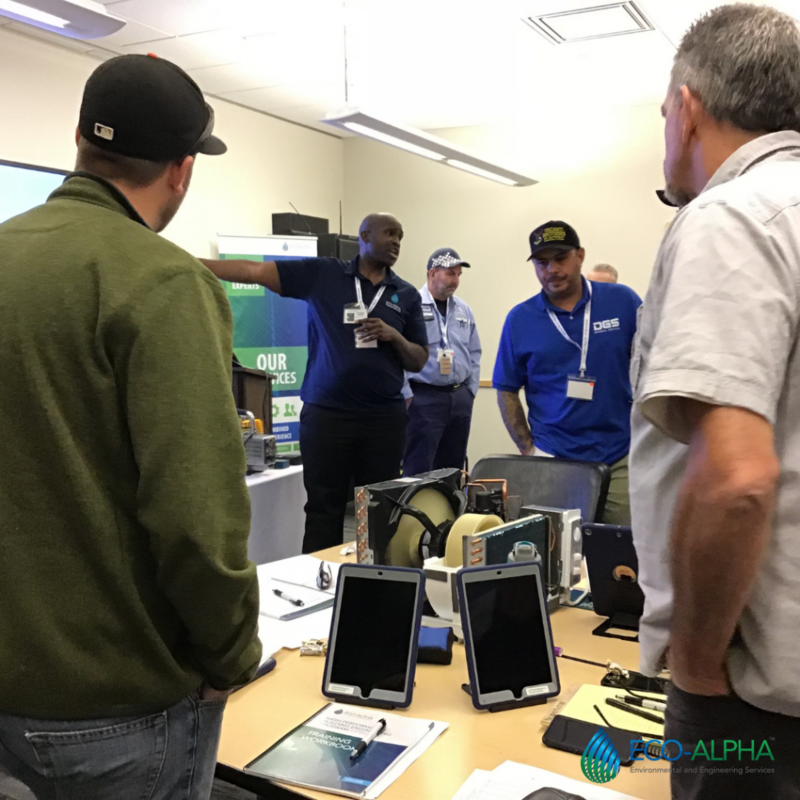 Eco-Alpha’s HPBEP Coordinator and Director assist FMD staff members during facilities equipment iPad simulation exercise at the Caltrans District 7 Building, Los Angeles CA, Oct. 2018. 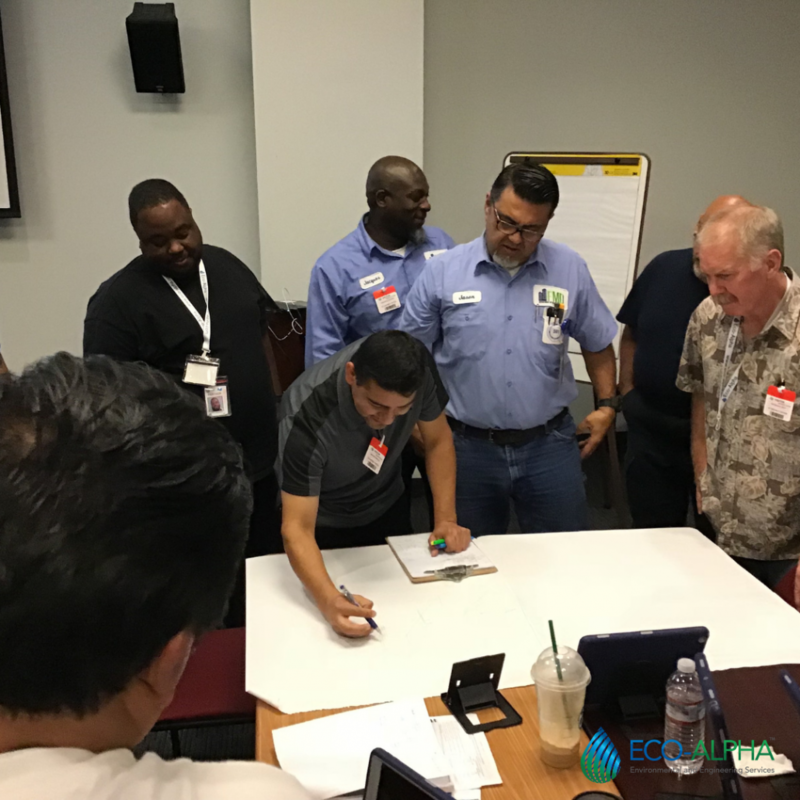 Eco-Alpha HPBEP Los Angeles cohort of FMD staff members participate in teamwork troubleshooting exercise at the Caltrans District 7 Building, Los Angeles CA, Oct. 2018. 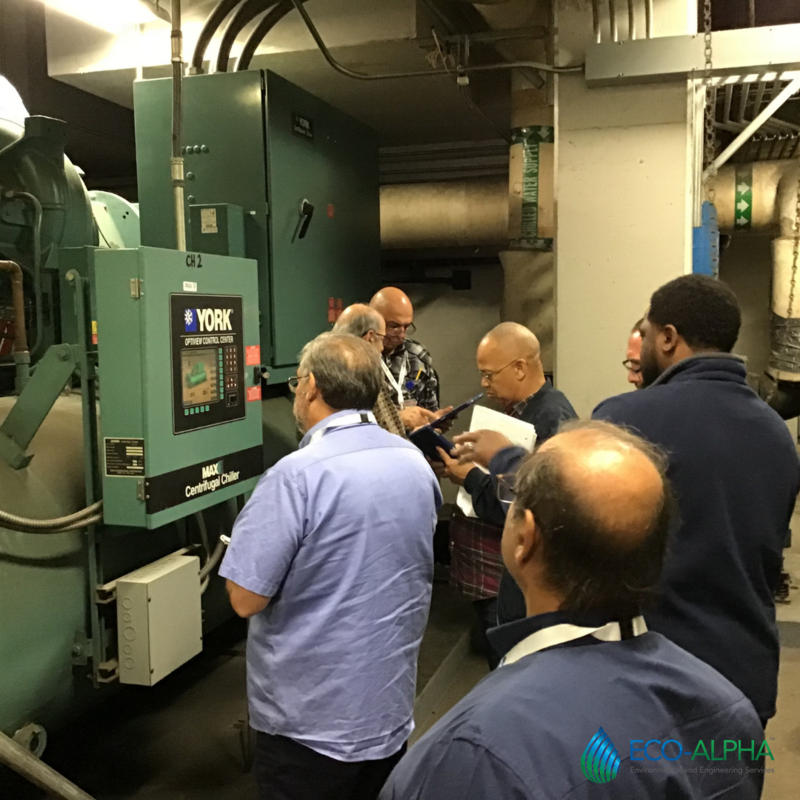 Eco-Alpha HPBEP Los Angeles cohort FMD staff members tour mechanical room and discuss troubleshooting strategies with Eco-Alpha coordinator for 750 ton chiller at the Caltrans District 7 Building, Los Angeles CA, Oct. 2018. Eco-Alpha’s HPBEP Certified Instructor and EPA 608 HVAC Proctor, provides in-class instruction to Sacramento cohort of FMD staff members at the California Franchise Tax Board (FTB), Sacramento, CA, Nov. 2018.
strategic focus on key skills needed to drive operational excellence in facilities management. FMD staff member participants were informed about the components of a successful outreach and planning phase and the process for tailoring the HPBEP to meet staff member needs to bridge the skills gap. In addition, during in-class and on-site support participants interacted with Eco-Alpha instructor and EPA 608 HVAC Proctor, Tauris McBride and industry technical expert Rick Mercado (Carrier Corporation) – a combined 35 years of both regional and national industry knowledge and experience. Participants were also provided useful practical tools for preventative maintenance, equipment troubling shooting, checklist, and facilities energy management audits. Eco-Alpha’s HPBEP Certified Instructor and EPA 608 HVAC Proctor, discuss facilities operations with FMD maintenance mechanic during on-site support at the California Franchise Tax Board (FTB), Sacramento, CA, Nov. 2018. 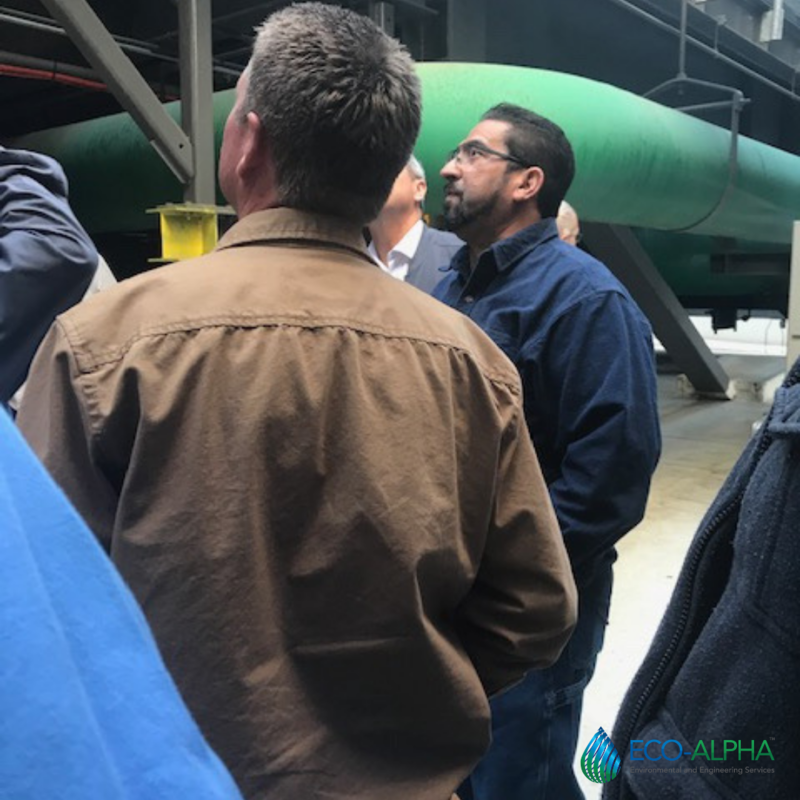 Eco-Alpha’s HPBEP Coordinator and President of Engineering, Uzoma Okoro discusses the key components of a data center during facilities tour to FMD staff members at the California Franchise Tax Board (FTB), Sacramento, CA, Nov. 2018. Participants learned how to provide maintenance and repairs to buildings in a more efficient and cost effective manner. 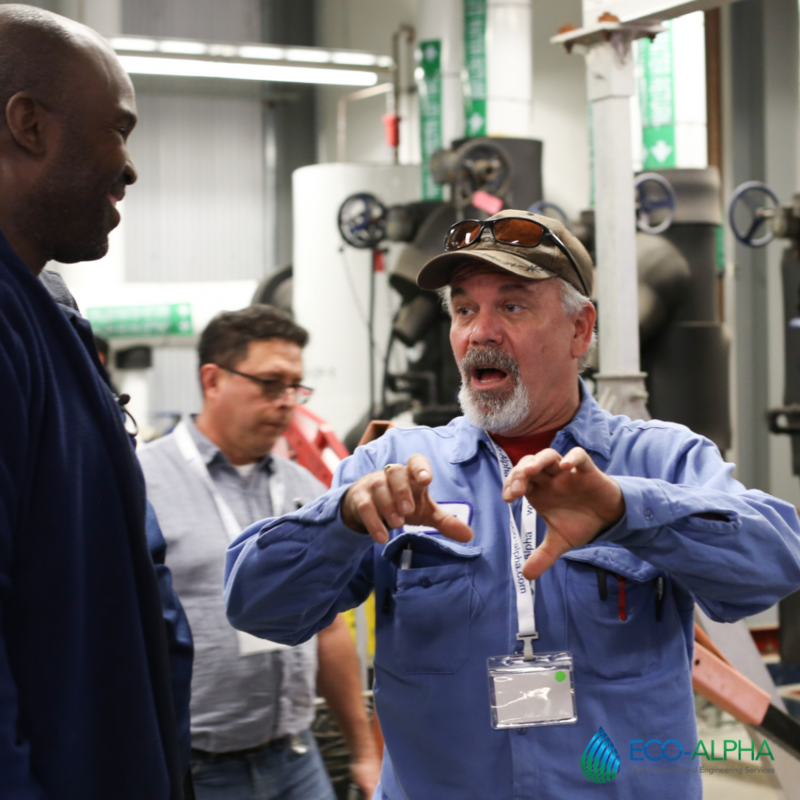 Participants improved their facilities preventive maintenance skills and auditing know-how through in-class workshops, sequenced hands-on simulations, and on-site training simulations. Participants were able to perform basic functions on key pieces of equipment and building automation systems. Participants learned the fundamentals of an effective compliance program. 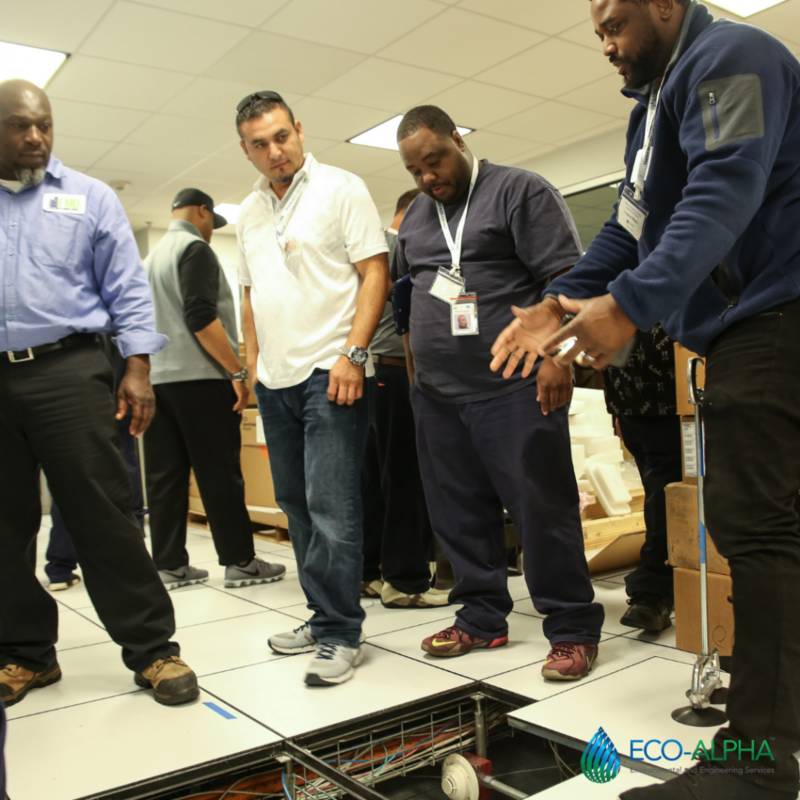 Participants learned the fundamentals of facilities energy management and conservation best practices. Participants learned from and networked with experts and facilities professionals with a diverse set of skills and experiences. Participants shared their knowledge, skills, expertise, and available resources with one another to increase their knowledge and support base. Eco-Alpha’s High Performance Building Engineering Program (HPBEP) pilot training for the Department of General Services, Facilities Management Division (FMD) allows FMD staff members to gain hands-on, on-the-job training and support from Eco-Alpha certified trainers and industry experts. The program was completed on time with minimal disruption to FMD operations. 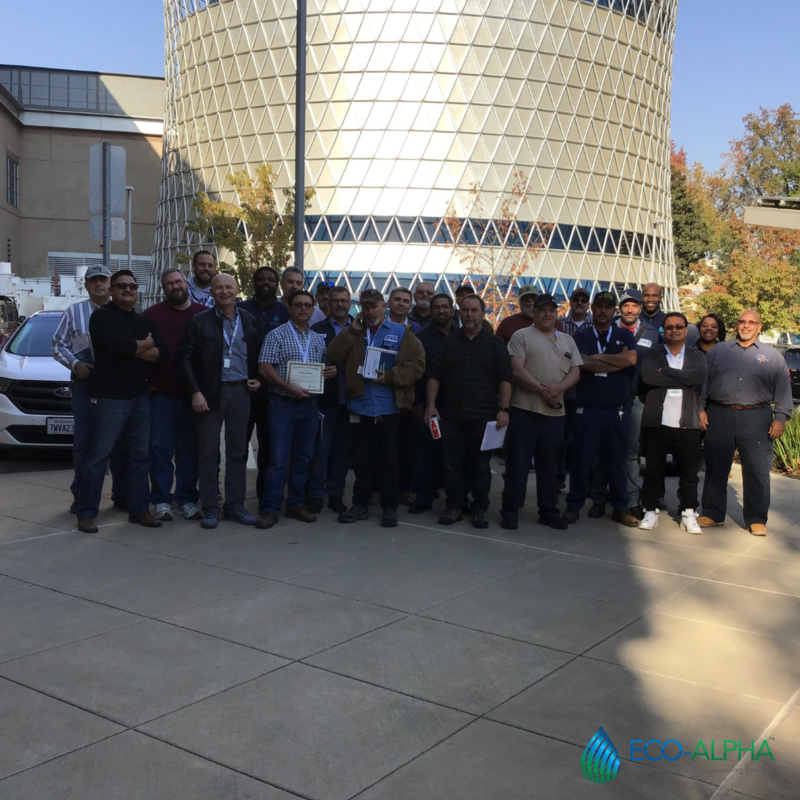 FMD staff members at the Caltrans District 7 Building in LA Metro and LA East Region, Los Angeles, CA on Oct. 18, 2018 (left) and Central Plant, Sacramento, CA on Oct. 31-Nov. 8, 2018 (right). Eco-Alpha’s HPBEP pilot program is part of a larger programmatic effort that will enable FMD to implement a diverse set of training, educational, and professional development strategies to enhance staff member skills; increase efficiencies; increase staff member engagement; increase staff member motivation and satisfaction; provide resources for career advancement within FMD; as well as aid in succession planning for executive leadership and key stakeholders. Dr. Melanie Harrison Okoro, Chief Executive Officer/Program Director, Eco-Alpha, agreed and emphasized the data from this pilot program can be used as a valuable tool to help provide critical information that FMD can leverage to improve their employee training programs, ultimately increasing training ROI and the impact on facilities professionals’ performance. Eco-Alpha served as FMD trusted advisors and worked with executive leadership during various portions of the program to tailor the Eco-Alpha HPBEP to meet FMD staff member and organizational needs. Eco-Alpha was chosen to implement a robust training program on the basis of its qualifications and proposal to meet FMD training needs, accelerate the program schedule, and to implement cost-savings facilities operation and maintenance strategies to the FMD. For photos and support material, please contact us at www.eco-alpha.com/contact. To access the video press release providing coverage of the HPBEP please click here. To access the infographic “Eco-Alpha’s Three Key Strategies for Excellence in Facilities Management” please visits www.eco-alpha.com. Eco-Alpha Environmental and Engineering Services offers engineering professional development and career educational programs across the state. With a diverse array of programs taught by certified instructors and professionals in their field, Eco-Alpha is a 100% minority and women-owned family company and is proud to be comprised of a diverse group of engineers, construction professionals, scientist, and consultants.. Eco-Alpha is DGS Certified Small (Micro): 2007925, California Public Utilities Clearinghouse (CPUC) Certified Women-Minority Small Business: 20365957, and is a California licensed Class-A General Engineering Contractor: 1044585. For more information visit www.eco-alpha.com. SOURCE: Eco-Alpha Environmental and Engineering Services, © Copyright 2019 Eco-Alpha Environmental and Engineering Services. All rights reserved. Download: Eco-Alpha’s 3 Key Strategies for Excellence in Facilities Management. Wondering how facilities management and operational excellence professionals stay abreast of the latest facilities management and industry best practices? Discover what, where, and how to implement the top 3 effective management solutions for your facility. Download our free infographic to learn more today!